Both Evans and Promark are widely used by many DCI and WGI groups, as well as marching band percussion sections all across the country. They are constantly working at making new and exciting products, as well as trying to make their current products better. To keep up with the Built to Compete campaign, be sure to follow Promark and Evans on all their social media outlets. Just be sure to use the hashtag #builttocompete. You can also find the newest Promark and Evans items here. If you have any specific questions about Evans or Promark products, please don’t hesitate to reach out to us! Now that we’re back to full staff, Chops Percussion and Paige’s Music’s repair department are willing to send a trained specialist to your school to assess your percussion inventory. 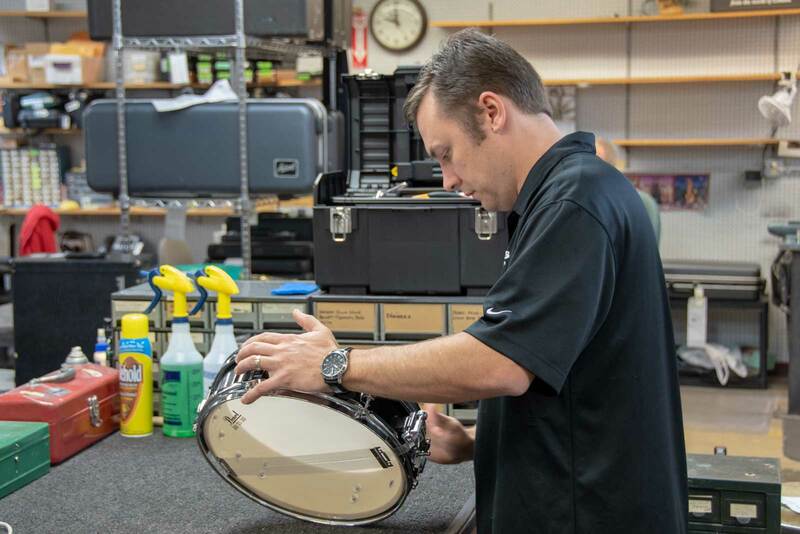 Brian Travelsted, our percussion repair specialist and sales associate for Chops, will work with you in deciding the best course of action to get your inventory back in its best shape! Paige’s Music offers on-site repair for large percussion instruments such as timpani, mallet instruments, concert bass drums, etc. This service is intended to alleviate the need to send in large instruments with your District Manager and be without them for several weeks. 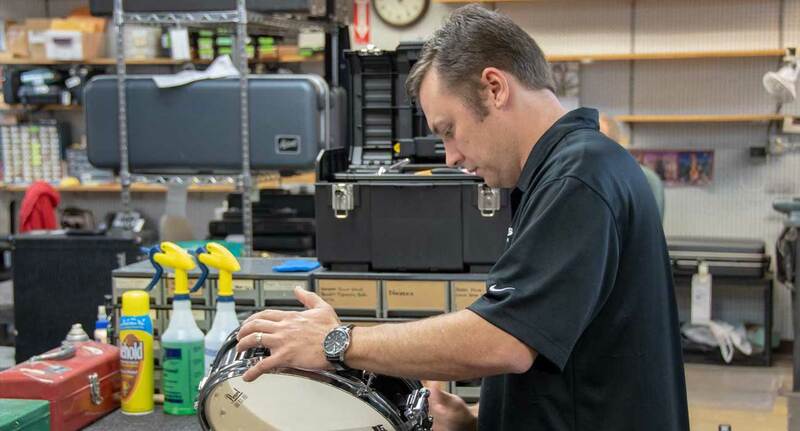 If an instrument is not repairable, Brian will recommend the best replacement options to best suit your ensemble’s needs. No more waiting for your large instruments or going without because the instrument is waiting in the shop! 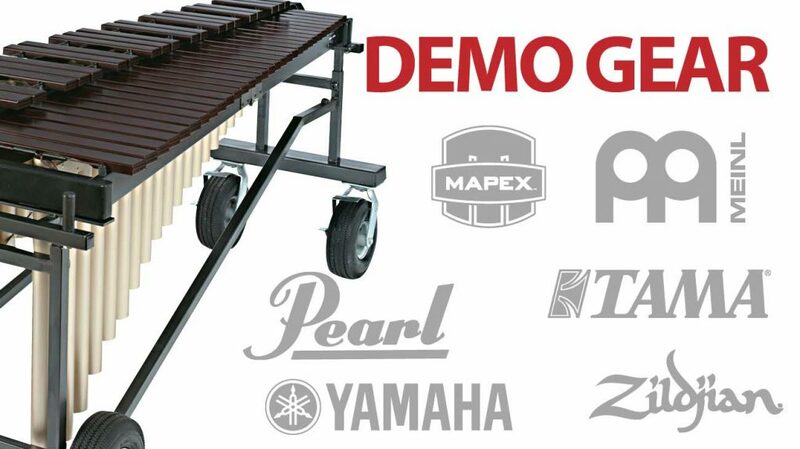 Small percussion instruments can be paired with a large percussion instrument request for added value. If interested in an equipment evaluation or on-site repairs, please email Brian at btravelsted@chopspercussion.com for more information. Rather than purchasing raw materials from third-party suppliers, they now using injection molds and make all cores in house. 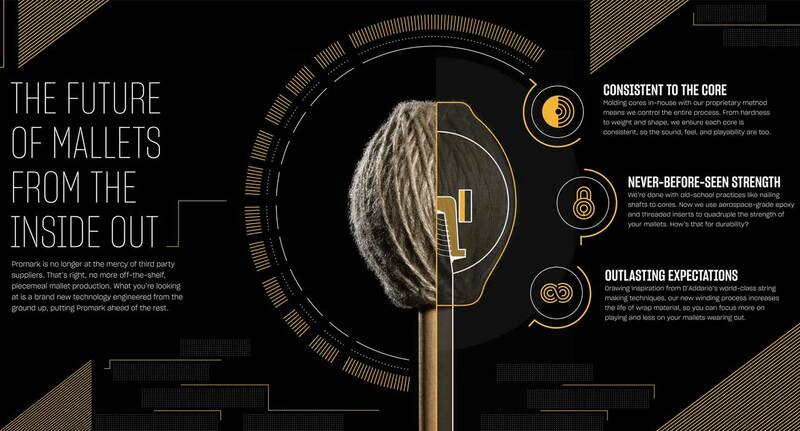 With the new process, it requires over 200% more force to pull the core off of the shaft versus nailed construction. Taking D’Addario’s proprietary string winding technology, they developed and custom built a new mallet winding machine that offers a more consistent finish and increased variability in design. They can now custom tailor “wrap recipes” that are optimal for the shape and use of each mallet. 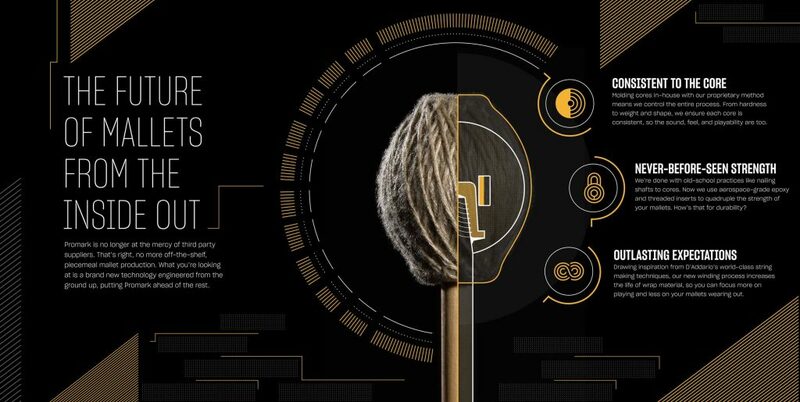 Diversity of Materials: With access to a vast library of materials, as well as developing an innovative new way to achieve multi-tone sounds, we are able to create mallets that can be tailored to any playing situation. Quality Control + Consistency: By manufacturing all of the components in house, they’re able to apply their own quality control practices and ensure that every mallet core and shaft are made to the highest possible standards. This includes the core itself being extremely consistent in its weight and hardness from pair to pair. These are available to order right now. Please contact us if you have any questions!